I’m fairly new to the genre having written three thrillers with a fourth – The Secret Mother – in the making. But a few authors and readers have asked me how I write, so I thought I’d share. Take from my writing experiences what you will. I used to be a fly-by-the-seat-of-my-pants girl with a general idea of plot, but nothing concrete. On average it would take me eight months to write a novel with much wailing and gnashing of teeth in between. Now, I plot the novel right down to the final twist, and move it one stage further by taking my basic plot and outlining each chapter in detail. 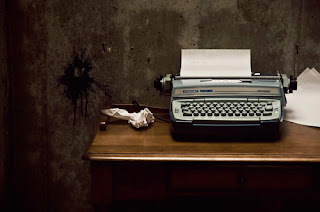 Using this method, my last three thrillers each took me 2-3 months to complete, mainly because I knew exactly what I was going to write each day – there were no blank spots leading to writer’s block. I can’t believe I left it so many years to work this way. It’s a revelation. Each chapter must work hard to add to the story. If it doesn’t move the plot along then it doesn’t belong. I always keep in mind my character arc and the overall theme of the story. I try to treat each chapter like a mini-story, with its own build up and climax, ending each chapter with an unsettled feeling or a question to be answered, drawing the reader along so they always get that urge to read ‘just one more chapter’. A strong plot is all very well, but I also want an interesting main character. A character who goes on his or her own personal journey aside from what’s going on around them. So they start off at point A, but finish – changed in some way – at point B. If the reader doesn’t care about the character and their goals, they won’t care about the story. Because I write psychological thrillers, I concentrate hard on the level of suspense in the book, keeping it rising with each chapter, backing the protagonist into terrible scenarios – physical or emotional – where the reader wonders what the hell they would do in that situation. I’ve had readers tell me they’ve yelled at my characters, telling them to do xyz to get out of their situation. Another reader wanted to climb into the pages and ‘beat the crap out of’ one of the bad guys in The Best Friend. As well as plot and dialogue, I like to use symbolism, such as weather, scenery etc. to subtly add to the atmosphere, layering the tension bit by bit until the reader has no fingernails left. Of course, you can’t please all of the people all of the time. But, as long as most of my readers are happy, then so am I.
I hope these insights into my writing process have helped somewhat. I’m always learning and striving to improve, but these are my discoveries so far. Happy psych-thriller writing! Feel free to comment below with any other tips and advice.